A constant topic of discussion at Brigade gatherings is centred around the lack of leaders in Companies, and this seems to have been an ongoing issue since the Brigade was started 135 years ago. The lack of suitable leaders is often cited as the reason behind Companies closing. However, within our Companies, Battalions and Regions, leadership training is continually taking place around the country. Therefore, we should have sufficient leaders coming up through the organisation to alleviate this crisis… but the lack of leaders continues. It therefore might be worth looking at this problem from a slightly different angle; instead of always focusing on the vacant positions within the Companies, Battalions and organisation as a whole, we should be planning and promoting a culture of succession. … to succeed with succession? It took 10 years before Welch announced his successor however, the amount of time he dedicated to succession planning begs the question if we’re spending enough time thinking about this crucial subject? Ultimately, it is not The Boys’ Brigades history, values, and processes that determine its success but the volunteers who govern it. Succession planning is personal, long before it becomes tactical. Succession is a transitional process, handing over leadership from one person to another, and that transition is very personal, and often involves people who have devoted a good portion of their lives to The Boys’ Brigade, and it is because of this very personal devotion to the Brigade that the topic of succession planning is not always discussed or dealt with. Discussing succession planning, in all areas of BB life will help to developing a culture of succession which will encourage the development of staff to see a future within the organisation’s leadership. Succession planning does not necessarily mean that people will be leaving the Brigade, it is a process of change, with those in leadership positions making way for others, possibly taking a lesser role within the Company, or taking on more responsibilities in other areas of the Brigade, such as at Battalion and District level or within the Church. These are all areas where leadership skills are needed, and reluctance to fill these roles could be due to Company commitments. Volunteers make the BB. However, succession planning is often unspoken through a fear of upsetting people. My approach is different. I openly speak about who will replace me and encourage volunteers to tell me when they are planning to move on. This gives the Company the ability to think about its future and decide the skill set it feels its missing. Central to all of this is culture. Developing an ethos whereby a skill set is valued over length of service and only taking on volunteers who are the correct fit builds enthusiast, passionate teams. For example, when looking for a Treasurer I approached a 26 year old finance graduate and my latest volunteer in Anchors works at the local after school club. It’s important to encourage volunteers to tell you their ideas and for a Captain to take them forward, not merely discuss them and quietly forget them. This grows their passion and enthusiasm for the organisation. Similarly, by treating volunteers as equals, not assistants, volunteers feel encouraged and want to take on more responsibilities. 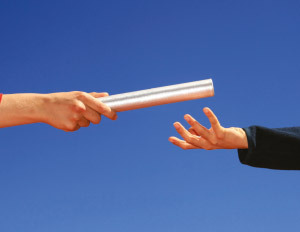 Succession planning should include the entire Company, and not just those in senior positions. Society encourages career development and progression, and a BB volunteer’s career should be no different. Often younger staff members with aspirations of leadership within the Brigade become disillusioned, when they realise that Office Bearers will not give up their positions of leadership. This can possibly result in them moving away from the Brigade into other interests which may satisfy their need for advancement. There are many ways to deal with this; for example, some committees have time limits set on members, only allowing a set term in a particular position or on a committee. Whilst it may seem an unusual idea, there is no reason why fixed terms of service cannot be put on volunteer roles such as Captains with the positions being transferred to the next incumbent after a prescribed period of time. Putting time limits on positions may also encourage people to take on a position of Leadership, knowing that it is for a fixed period only. 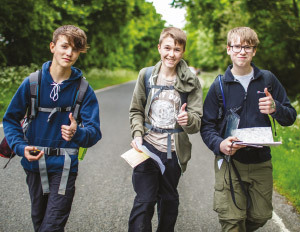 Society has moved away from the concept of a ‘job for life’ and these cultural norms are being adopted by younger members in The Boys’ Brigade. Young leaders are looking for opportunities to move through the ranks of the organisation, and don’t want to feel like they are being blocked in their advancement. Whilst some Companies/Battalions/Committees have informal plans for their succession, this informality and lack of a structured plan can result in the transition failing and often a Company is forced to close as suitable leaders are not in place. The trick is to focus on a time far enough in the future for it to be less intimidating for those involved. The amount of time the current incumbent has been in this position can affect the length of time required for the transition process. The current incumbent will have built up a network of loyal supporters and contacts, and these need to be gradually transferred over to the successor. These are valuable resources which should not be lost to the Brigade, and it takes time to transfer these over to the successor. In my first visit to a Company as part of a Battalion role I visited a Company with a 77-year-old Captain and one other leader, which was forced to close shortly after due to their being nobody to take over. There is also the aspect of unforeseen circumstance which require Leadership change, and having though about succession planning in advance will make this situation easier to deal with as plans are already in place, even if it was not to a planned time schedule. It helps senior staff members know who is keen and available, ready for when they are looking for someone to fill a key role. Staff members knowing that next role awaits them receive a boost to self-esteem and self-respect. It keeps your Company running and open to fresh thinking. Succession planning allows for the transfer of knowledge. Make sure you have a clear succession strategy in place, with regular checks being made on how long key people are likely to be with you. People do need to move on from time to time, to fresh challenges and adventures. Don’t assume the next leader will be from within the Company, also consider looking outside the Company, within the Church and local community. Devote time and energy to the next appointment, it is better to spend some time finding the right personal and easing them into the position than rushing and ending up with the wrong person. Sometimes it is better to ask people, than to wait for volunteers. The volunteer might not be best suited for the role. See succession planning as an opportunity, not just a chore: A leader from outside the Companies/Battalions/Districts immediate networks can bring a fresh pair of eyes, encourage change and serve as a catalyst for important, if difficult, changes in culture that might be overdue. Through your succession planning process, you have a better chance of retaining staff because they appreciate the time, attention, and development that you are investing in them. Staff are motivated and engaged when they can see a career path within The Boys’ Brigade. Succession planning should be a continual process and part of the Brigade culture. Succession planning should be a continual process and part of the Brigade culture, not a frantic last-minute scramble. One of the things often missed in succession planning is that it should be gradual and thoughtful, with lots of sharing of information and knowledge, resulting in it being an almost non-event when it happens. This can be achieved by developing a culture of succession and seeing the leaders which we train on a weekly basis given the opportunity to develop and change their role within the organisation. Starting at Company level, and moving into all areas of Brigade activities, across all levels. People become settled in their current positions, and whilst they may regularly state that they want to retire or move on, they are reluctant to hand over what has been many years of their life’s work. Often the current incumbent is not the best person to be responsible for the transition. 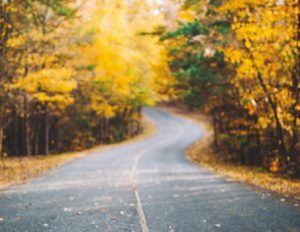 Possibly an outsider, or member of the Church could have some input into managing the transition process, and a fresh insight into the roles and responsibilities, together with an unbiased approach to the process might make the transition a little easier? People like to leave a legacy, and this should not be ignored. If the person is retiring entirely from the Company, honour them with a suitable retirement ceremony, and continue to invite them to BB functions such as Church Parades, displays and Services etc, and encourage an involvement in other areas of the Company or Brigade work in general. A clear communication plan is necessary to let members, donors and supporters, the Battalion and BB HQ know what is happening during the transition, and who to contact. Have the new leader start early so there’s an overlap between roles. Have the current leader write their own job description based on their experience of the work involved. Transitioning into a new leadership position is not easy. You need to assume there will be periods of difficulty, but having planned for the transition, and having the the previous post holder available as counsel and guidance will make the transition process easier. By planning ahead, it is possible to take advantage of the transition as an opportunity for positive change. A successful BB Company reflects well on the local Church and community, and they need reassurance that the Brigade has capable leadership. This is particularly true with supporters and funders who do not want to commit financial resources to an organisation which does not have strategic leadership in place. Often local donors are funding the work of the leader, and this funding needs to be transitioned over to the successor. This transfer of trust and loyalty takes time, and needs to be a gradual process. There is also the risk that local council or Church funding could be affected whilst the Company is in transition with the donor taking a “wait and see” approach to the new leadership. A gradual succession plan, including the introduction of the new leaders to funders and donors will ease this process, and ensure the continued flow of resources. Succession planning needs to be considered by everyone in a position of Leadership, to ensure the continue success of our work with children and young people. A culture of succession in the Brigade will assist with future leadership shortfalls, and reduce the number of staff vacancies, and vacant positions on committees, and these will have been planned for and taken up as the need arises. To help you process the personal side of succession planning, here are some biblical passages to read and reflect upon. Succession planning isn’t the last great thing you will do, as if done right, your legacy will continue in your protégée.